My parents were just here visiting and one of the things my mom and I did was go and check out the local garage sales. I am so glad we did, because I found the cutest kidney top wooden desk there. 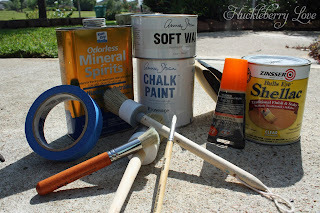 As soon as I saw it I knew that with a little bit of TLC, it would be a great addition to my craft room. 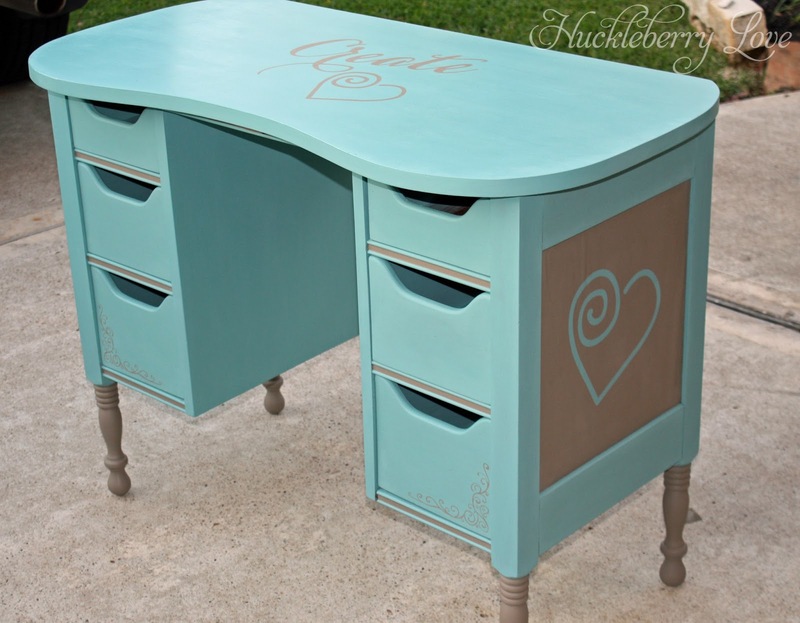 Now my mom, who happens to be an Annie Sloan paint fanatic (and just recently redid her whole bedroom suite in the stuff) was adamant that this little desk needed to be chalk painted. I had never used it before, but am always up for trying new things, so off we went to the closest distributor and picked out some colours. I decided on the colour 'Provence' ( a kind of greeny-blue) and Coco (a greyish-brown) for the accents. The great thing about Annie Sloan paint is that you don't have to prime the painting surface- it will literally paint over anything! 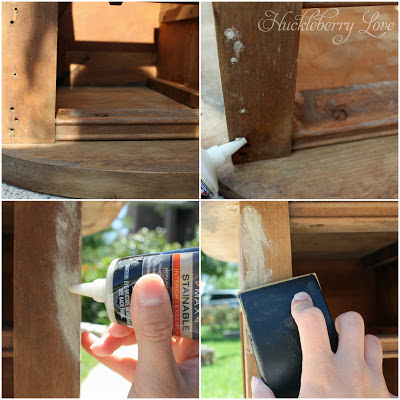 I loved this, as I didn't want to spend hours on buffing, sanding and priming the piece. I couldn't believe how quickly this project went and I even took a few extra 'steps'. I began by wiping the desk down with some Odorless Mineral Spirits. This is a good step to take because it cleans the desk and also will rid the wood of any residual smells (cigarette smoke for instance). Then, it was time to paint! I painted the whole desk in the Provence and accented it with Coco. I really like the contrast of the two colours. If you are trying to achieve an antique-y look, one coat of this paint is usually enough, but I wanted a more solid, modern look, so I used two coats on the whole desk and three coats on the top of the desk. 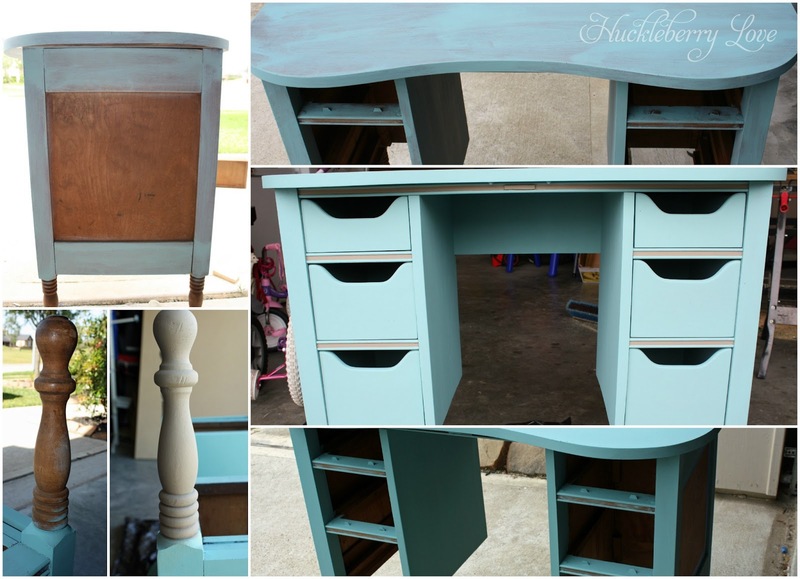 Once the desk was done, I painted the drawers. I had originally thought about painting them in the Coco, but opted instead for the Provence with some Coco accent between each drawer. After everything was painted, I felt like something was missing. 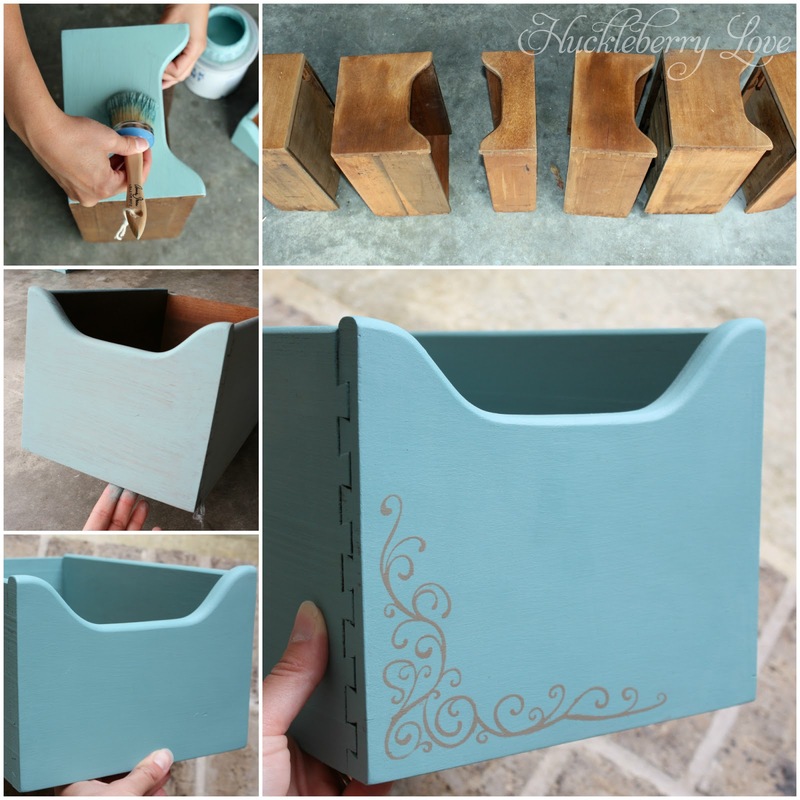 Don't get me wrong, it looked beautiful, but I decided I wanted to add some stenciling to really make it 'pop'. Well, out came my handy dandy silhouette and the browsing for the perfect pattern began. 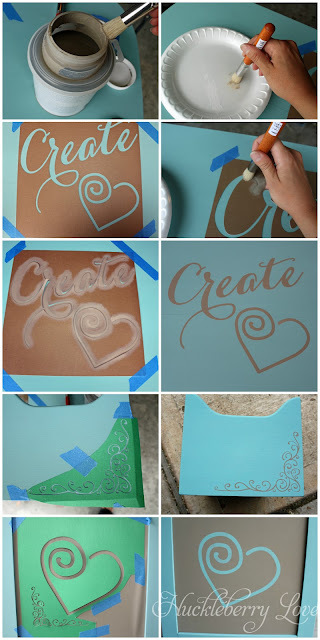 After a bit of trial and error with a few patterns (the pattern you choose needs to be a single cut out or it is nearly impossible to place the stencil right on the furniture), I found the perfect stencil patterns. Originally, I was going to cut the patterns out onto contact paper and stick that to my desk. But, after a quick chat with Emily, we decided that it might not be a good idea to use sticky paper and risk pulling the paint off. I ended up cutting my stencils out onto thick textured cardstock and taping it down with painters tape. It worked perfectly! The trick to keep the paint from running under the stencil is to use the tiniest bit of paint at a time. (I even went as far as to wipe the excess paint onto a paper plate). Then, with your nearly paintless brush, just dab lightly straight up and down onto the stencil, making sure to not make any swiping motions. I was really nervous at first about the paint seeping, but it turned out perfectly and was incredibly easy. To work the wax into my brush, I put a bit of the wax onto a paper plate first, worked my brush into it and then applied it to the desk. While you are waxing, it is important to be buffing the wax with a piece of t-shirt or cheesecloth as you go. 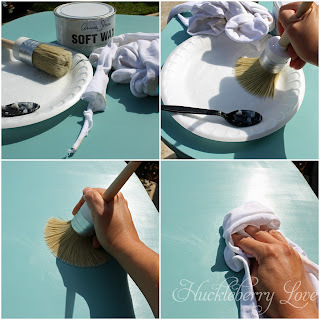 The fantastic thing about waxing is, once the wax is on, even if you get a little scratch on your piece, you can just take a piece of cheesecloth or t-shirt scrap, give it a buff and voila, no more scratch. It is awesome!! I am so happy with how this desk turned out and would like to extend a very big thank you to my mom for all the help she gave me with this project. We ended up finishing this desk the day before Mothers Day, so it has become our special Mother-Daughter desk. Thanks Mom!! 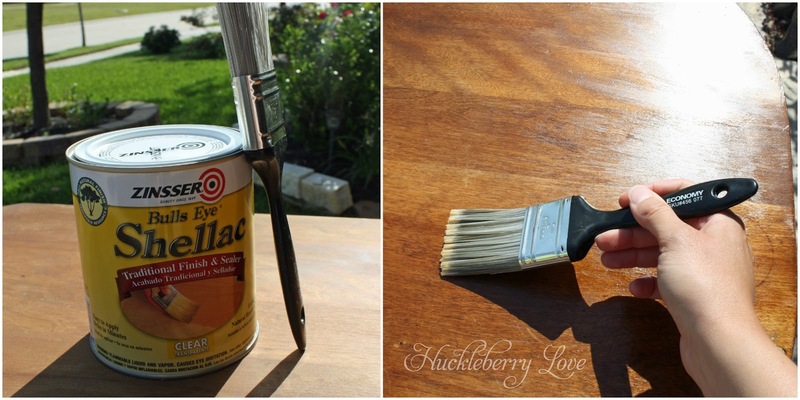 Have you found any good garage sale finds recently or done any furniture makeovers? Great job! Love the color!! 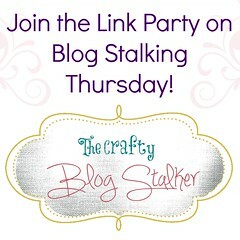 Thanks for linking this up at the Pinterest Power Party - we'll be featuring it in tomorrow's party! 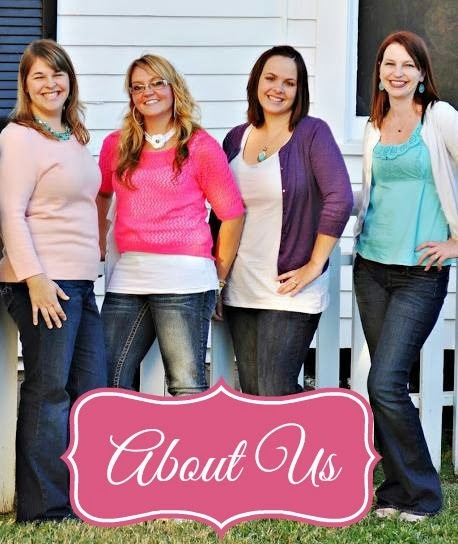 Hope you'll come by and grab a featured button and link up again! This is beautiful! I love that it isn't too shiny. Did you use any sort of finish over the paint besides just wax? 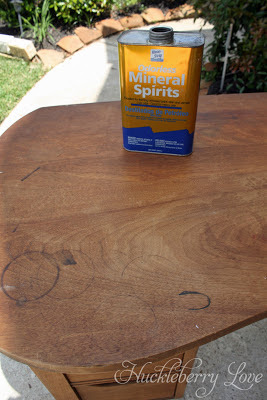 I recently did a dining table makeover and I'm a little disappointed in how shiny the table top ended up. I used polyurethane and now I'm thinking I should've found something different. Anyway, if you have any suggestions, I'd love to hear them! Thanks Krissy! I didn't use anything besides the wax. I made sure to use a very small amount though and buffed it with the t-shirt really well. I noticed in spots where the wax was applied a bit thicker that it did get a bit shiny though, so I just went and re-buffed though spots extra until the desk top was even. Don't know if that helps at all, but good luck with your next furniture project!! Thank you for this very informative write up. 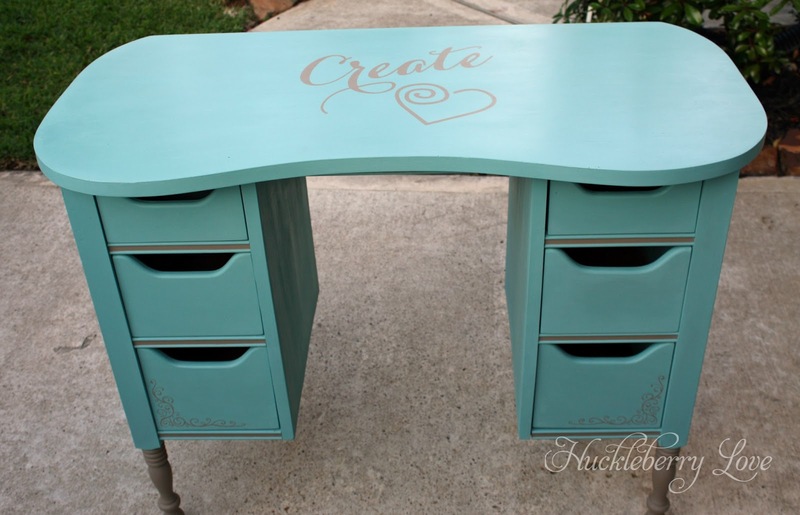 Your desk is beautiful I saw your desk featured on Miss Mustard Seed. Thank you for this very informative tutorial. Your desk is beautiful and you did a fantastic job.